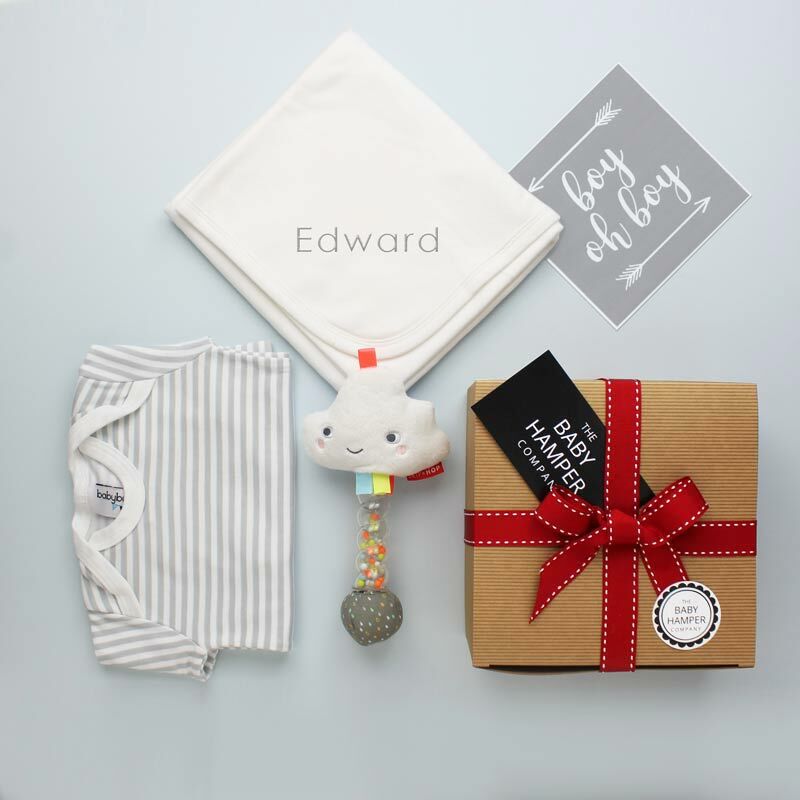 How do you make our baby hampers even more amazing?? 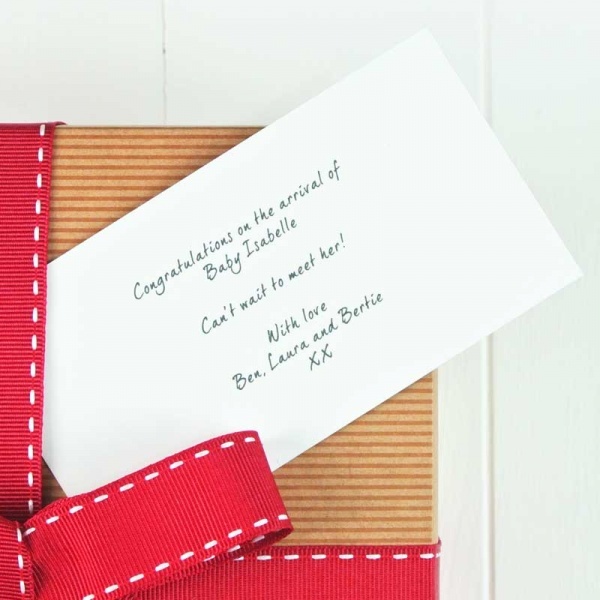 Well, we can now personalise our products to give you a truly bespoke gift to send to your loved ones. 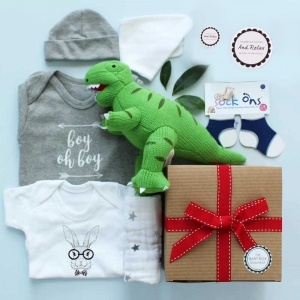 This large personalised baby boy hampers features an array of beautiful gifts, that will be not only treasured but really useful. Personalised blanket in white - a super soft cotton blanket, perfect for use in a pram or car, embroidered with your new arrivals name. 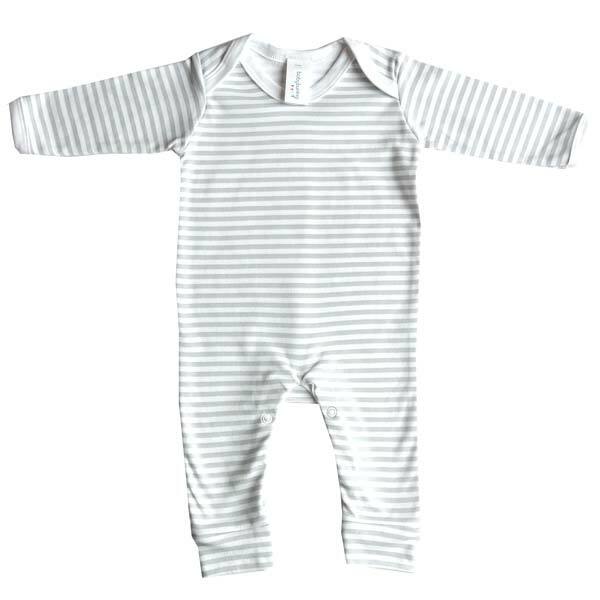 Sleepsuit in grey and white stripe - 100% cotton outfit, with a funky grey and white stripe print. 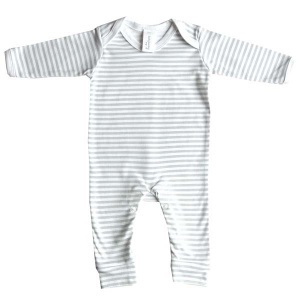 Great for use as a day outfit or nightwear. Age 0-3 months. 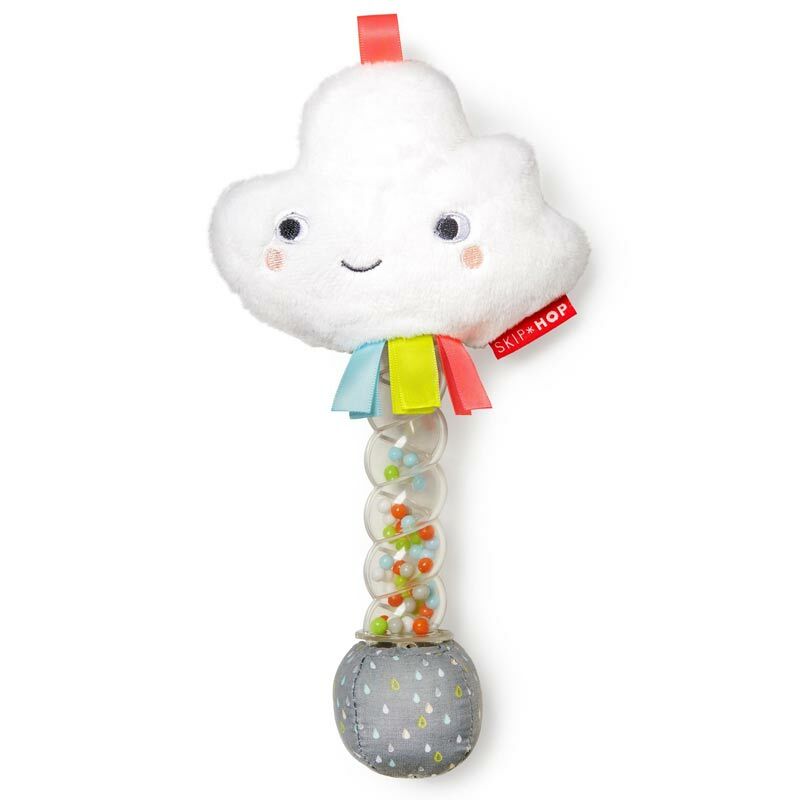 Skip Hop Rainstick Rattle - a bright handheld sensory rattle. 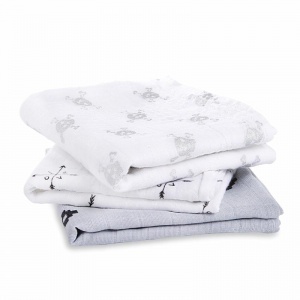 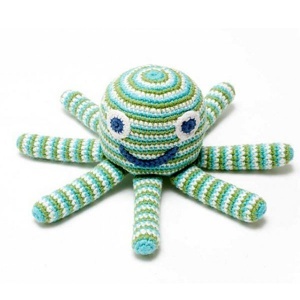 Little ones love to feel the contrasting patterns and are a great portable size. 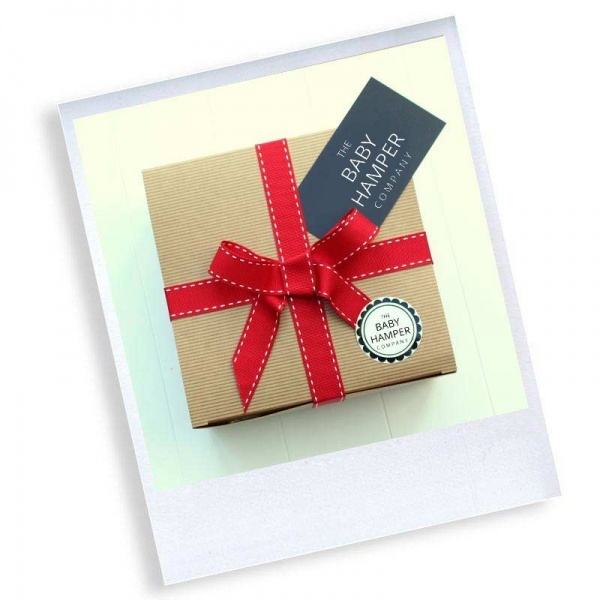 All this comes with our FREE luxury gift wrap and personal message card. 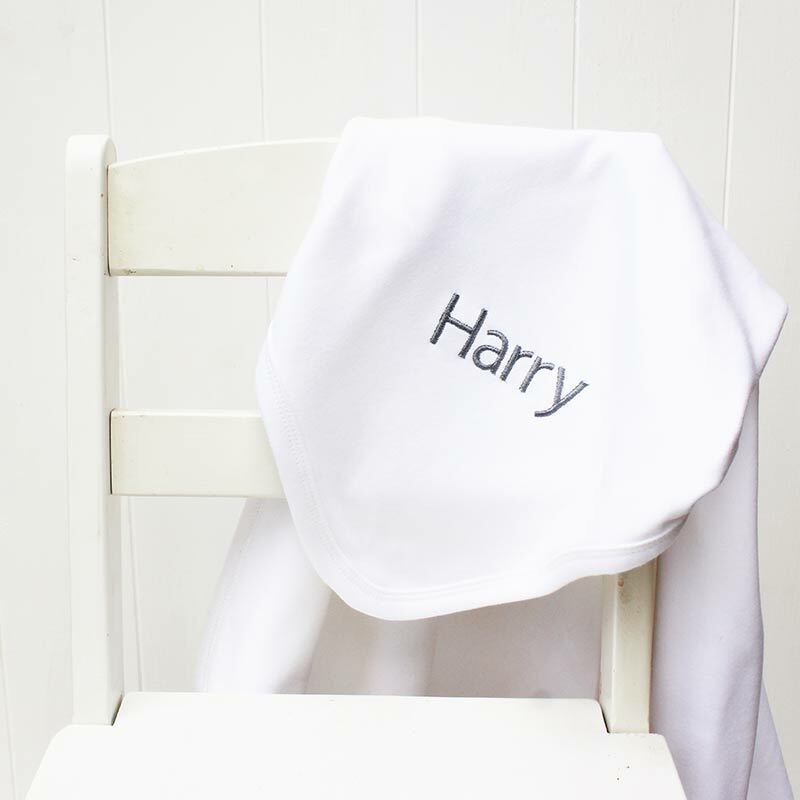 Buy your perfect personalised baby gift from our online store today!